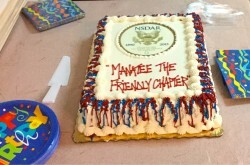 The chapter draws its name from our county, Manatee, located just south of the beautiful Bay of Tampa. Manatee is also the name of the river that flows past our doors. The name Manatee appears to have come from the Cariban Indian language which referred to the sea cows or water mammals (manatees) that live in the river. 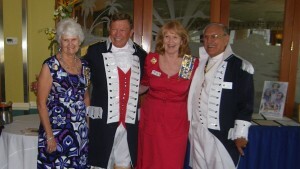 The organizing regent was Mrs. Blanche W Henrickson. Other organizing officers were Aileen Botkins, Marie Craighead, Moreen Carlisle, Mary Harris, Margaret Brewster, Susan Fay, and Helen Taylor. The chapter was organized September 14, 1951. 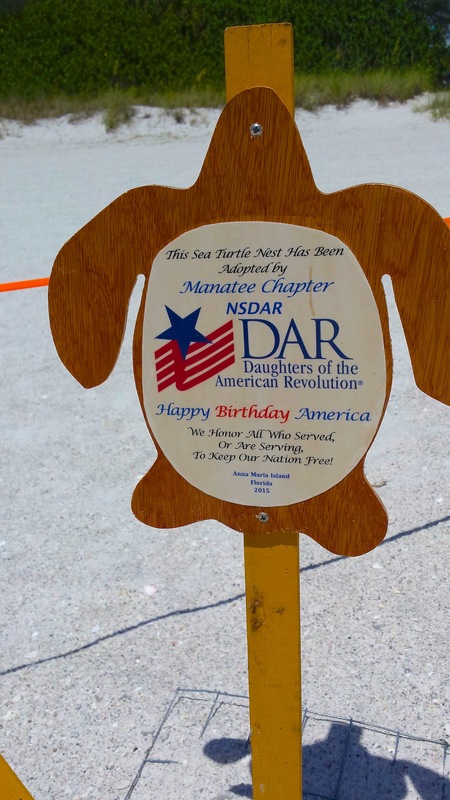 Manatee Chapter adopts a Sea Turtle Nest! 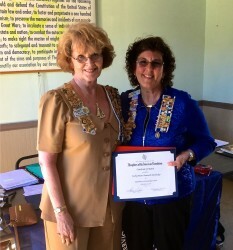 Kathy Doddridge, left, with Sharon Spry, Regent of the Manatee Chapter received the DAR’s Excellence in Community Service award. 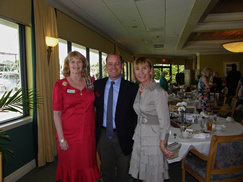 president of Sarasota Audubon,as applauding her abilities with the public as an Audubon ambassador in her written recommendation. Ms. Fox spends countless hours educating residents, visitors, businesses, local officials and law enforcement on how to work together to preserve sea turtles and shorebirds. She also has worked with coastal residents and businesses on turtle-friendly lighting. As a result, there has been a dramatic decrease in hatch-ling disorientation achieved at seven different properties after converting to turtle-friendly lighting. Disorientations were reduced to zero at all sites. 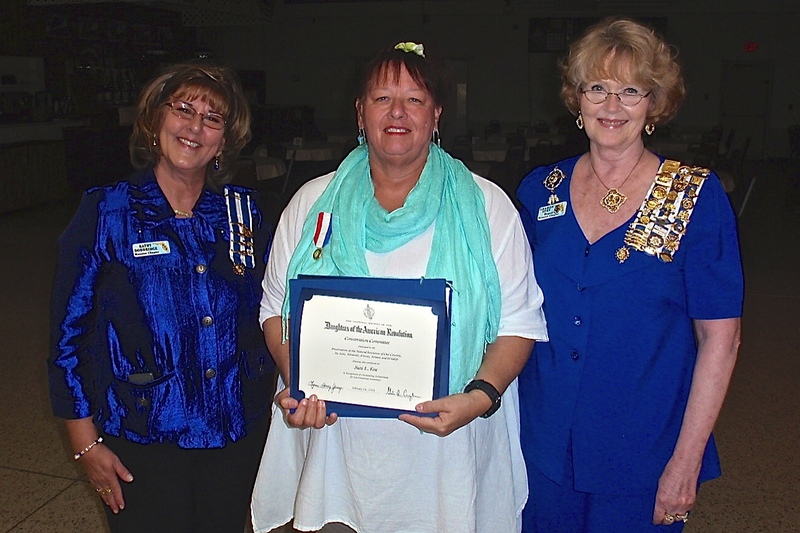 At the February 14, Manatee Chapter DAR meeting, chapter regent, Sharon Spry, and chapter member, Kathy Doddridge, presented Ms. Fox with the Conservation certificate and medal. 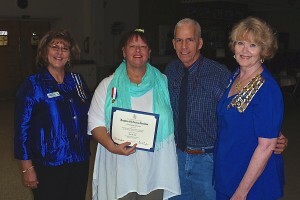 In the audience were Manatee County Commissioner, John Chappie, Suzi’s sister, Nancy Banman, as well as chapter members and guests. 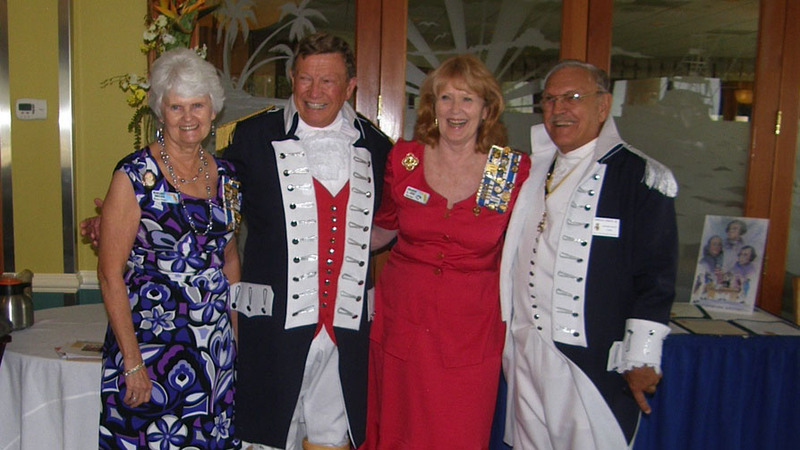 Manatee Chapter, National Society Daughters of the American Revolution (NSDAR) hosted the annual Constitution Week Luncheon at the Bradenton Yacht Club on Saturday, September 14, 2013. 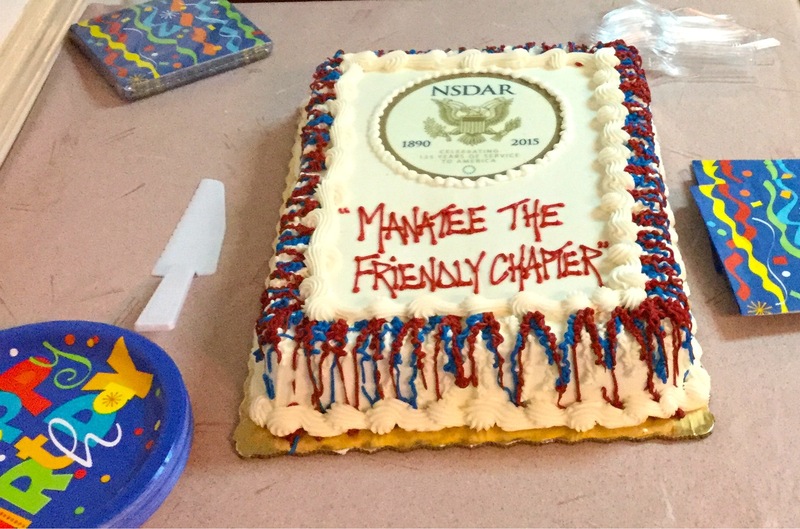 Attendees were members/guests of the five NSDAR chapters located in Sarasota and Manatee counties including: Allapatah, Myakka, Osceola, Sara De Soto and Manatee and the Saramana Sons of the American Revolution Chapter (SAR). Setting the tone for the day, the Saramana SAR Color Guard posted the colors followed by the Pledge of Allegiance along with a robust singing of the Star Spangled Banner. One of the highlights of the day was the vocal performance by Manatee Chapter’s Margaret Smelser singing “The American Anthem”. As anticipated, there were few dry eyes in the room! We were honored to have our own Manatee Chapter daughter, Linda Gallen introduce her son, County Commissioner Michael Gallen as our guest speaker. Having taught government at Lakewood Ranch High School and an attorney, Michael presented a very interesting overview of the origin of our Bill of Rights and the evolution of our Constitution as a living and breathing document. He provided clarity and insight into why the 14th Amendment is critical to the freedoms we as citizens are guaranteed.